A female member of a notorious cult arrested by the police in Lagos has made a startling revelation on how she killed members of rival cult groups and any other person for a fee of N10,000. 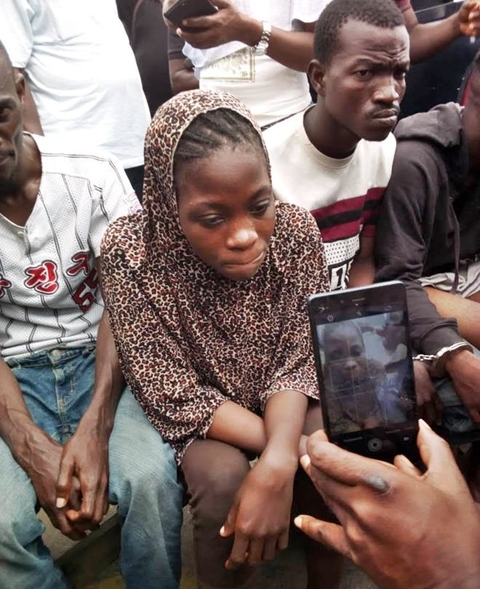 While speaking when she was paraded by the Police in Lagos on Monday, a 20-year-old self-confessed sniper of the dreaded Eiye confraternity, Mariam Abiola, revealed how she killed four rival gang members in the Ilasamaja area of the state. 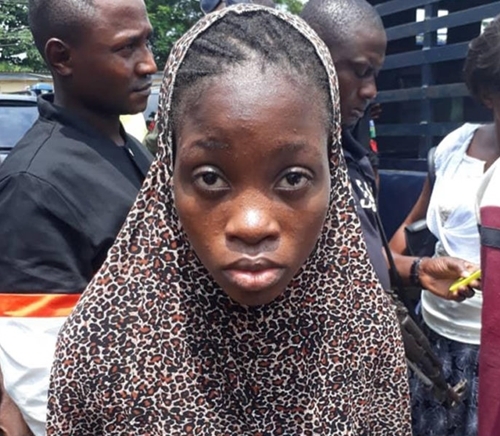 The young girl who admitted dropping out of school in SS3, was arrested on Monay morning together with three male accomplices by a police team from the Ilasamaja division, led by the Divisional Police Officer, Chief Superintendent Titilayo Oriyomi. While making her confessions to police interrogators, she said it was easier for her to operate unnoticed wearing a hijab, adding that a member of her gang she described as an herbalist always prepared charms for her before she embarked on any major operation. She narrated, "I was arrested early last year in Mushin. I had run away from my parents’ home in Abeokuta, Ogun State, when I was 15 years. After I fled to Lagos in search of work, I was staying with one brother Wasiu, who is also a gang member. Another brother, Sadiq, said he would introduce me to a job that would be fetching me money. "He said I needed to blend into the system by being a member of the Eiye confraternity. I agreed. Thereafter, Sadiq taught me how to use a gun. By the time I went through training three times, I knew how to fire accurately. “Anytime I was going to kill, Sadiq would give me the person's picture and send the address to my phone. I usually wore a white male flowing gown and white hijab whenever we were going to kill any rival member. "We always went in a group of four, including Wasiu and Segun. The gun was usually tucked inside my white flowing gown. On getting to the target's house, which was usually at night, other members would jump through the fence and open the gate for me. I would enter and fire the person in the chest and forehead before leaving there. “I have killed four persons. None of our targets survived. I killed one guy at Fadeyi area of Lagos. Another one at Hassan area, one at Ajeh area. At the end of each killing, Sadiq would pay me N10,000 and five others N20,000. "I had struck at Fabiyi, Hassan and Aje streets and another street, all in Ilasamaja. Before we leave for any killing, we would visit the herbalist who would give us charms to put residents to sleep until the operation is concluded. I never felt bad killing anybody." Meanwhile, Sadiq also admitted being a member of the Eiye confraternity but denied knowing Abiola. Speaking on the arrest, Lagos State commissioner of police, CP Imohimi Edgal said, "It is shocking to see a young lady of Abiola's age talk of killings. Parents should do more by monitoring their children.